From decadent apple pancakes to savory ham and cheese sandwiches, here are 11 amazing ways to use apples for brunch. Golden Delicious apples star in this giant one-pan pancake. Sweet and tangy, this juice is the perfect way to wake up. Granny Smiths, Winesaps or Rome Beauties are best for this quick, hearty dish. The incredible fruity filling is like a festive apple pie. Ready in just 20 minutes, this healthy dish features big chunks of apples. Tart apples spiced with cinnamon top this fantastic, easy dish. How do you upgrade a ham and cheese sandwich? Add thinly sliced apples. 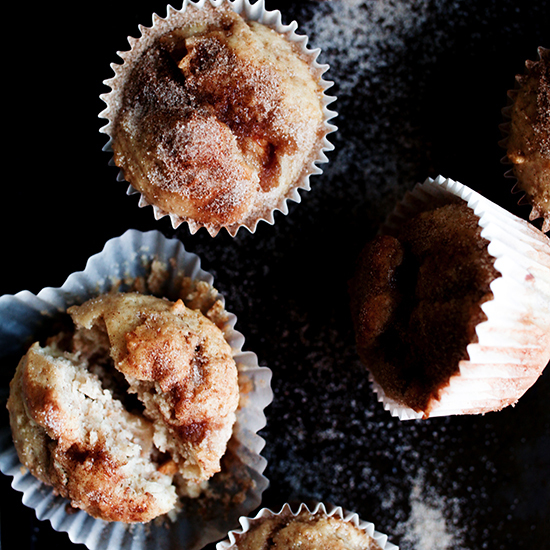 Light and tasty, these gluten-free muffins feature chunks of apples and delicious swirls of cinnamon and brown sugar. Buttery, sweet apples top these amazingly fluffy pancakes. Made with McIntosh apples and unsweetened apple juice, this incredible roasted apple butter is exquisite with savory bacon biscuits. Studded with Granny Smith apples, these delicious coffee muffins can easily be made ahead of time.